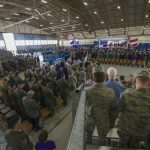 FORT GORDON, Ga. (Nov. 25, 2014) – Soldiers who want to defend the nation in cyberspace, as part of the Army’s newest and most technologically advanced career field, now have an Army branch to join that will take its place alongside infantry, artillery and the other Army combat arms branches. 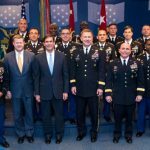 Army Secretary John McHugh and Chief of Staff Gen. Raymond Odierno approved the creation of the Cyber branch in September, as one of the first official steps in establishing a 17-series career field specifically dedicated to managing the careers and professional development of officers. The remainder of the 17-series career field management program is expected to be implemented by October 2015, with both enlisted and warrant officer career paths. To support these goals, both the U.S. Army Cyber Center of Excellence, or CoE, at Fort Gordon, and the Human Resources Command created personnel career management and proponent offices to lead and shape the future development of this new Army career field. “The establishment of a Cyber Branch shows how important and critical the cyber mission is to our Army, and allows us to focus innovative recruiting, retention, leader development, and talent management needed to produce world-class cyberspace professionals,” said Lt. Gen. Edward Cardon, the commanding general of Army Cyber Command. Cyber CoE officials say the United States’ military networks evolved from providing communication systems and services to a warfighting weapons system. 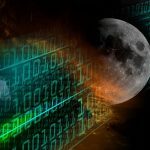 All of cyberspace is now considered a warfighting domain and an operational environment in which the Defense Department will conduct cyberspace operations. This new warfighting domain brings the need for a new type of Soldier capable of understanding cyberspace as an operational environment, just as an infantryman understands the land domain and a pilot the air domain. The Cyber branch already reached a milestone accepting the first six officers for duty as cyber operations officers, in the 17A area of concentration. Five of the six will be assigned to the 780th Military Intelligence Brigade (Cyber), at Fort Meade, Md., with the sixth assigned to the Cyber Protection Brigade at Fort Gordon. By October 2015, enlisted Soldiers joining the career field will be designated as military occupational specialty 17C, cyber operations specialist, while warrant officers will become 170A cyber operations technicians. The process for Warrant Officers and NCOs to transfer to career field 17 is under development. According to Col. Jennifer Buckner, commandant of the U.S. Army Cyber School, within the Cyber CoE, the branch will form in two phases, with a target of bringing almost 1,200 officers, warrant officers and enlisted Soldiers into the branch during the first phase, through 2016. In the second phase, the cyber branch will incorporate electronic warfare Soldiers in the 29-series Military Occupational Specialty. As the proponent for the Army’s newest career field, the Cyber CoE is developing the accession standards and strategies for filling positions in the branch. 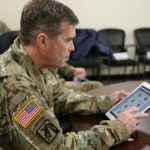 Although the Army is currently accepting applications from second lieutenants through colonels, the Cyber CoE is still working on firm standards for entry into the branch, Buckner said. In order to be eligible, Buckner said. 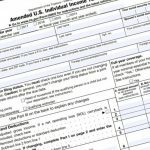 In order to be eligible, applicants must be able to obtain a top secret clearance and be able to pass and maintain a counter-intelligence polygraph and National Security Agency access. She added that a bachelor’s degree in a science, technology, engineering or mathematics discipline would be a plus. Once accepted into the career field, officers, warrant officers and enlisted Soldiers will fill a wide variety of positions with cyber mission force units and traditional Army formations, including: cyber operator, analyst and planner positions. The branch will also include traditional leadership, command and staff positions. Although a significant number of cyber positions will be located at Forts Gordon and Meade as the majority of cyber elements are assigned there, cyber Soldiers will have assignment opportunities across the force. The Army’s total force approach to cyber includes significant growth in the Army National Guard and Army Reserve’s cyberspace capabilities and capacities. “We believe the branch will attract high quality talent to the Army and many of those people, once they experience the opportunities available in the cyber branch will choose to stay,” Conti said. For information on joining the Cyber branch as an officer, contact the Human Resources Command Cyber branch at (502) 613-5398/6614. Enlisted and warrant officer branch contact information will be released as it is established.